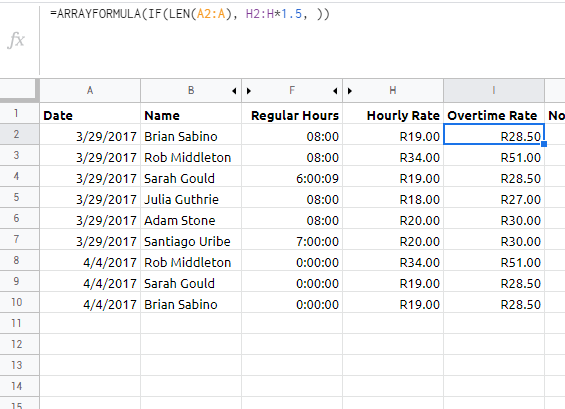 I would appreciate assistance with a formula to calculate Currency/Price from Duration or Time. 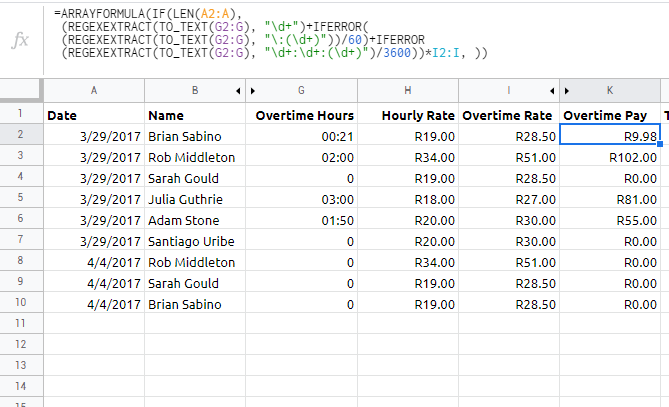 Also how to auto sum other cells? 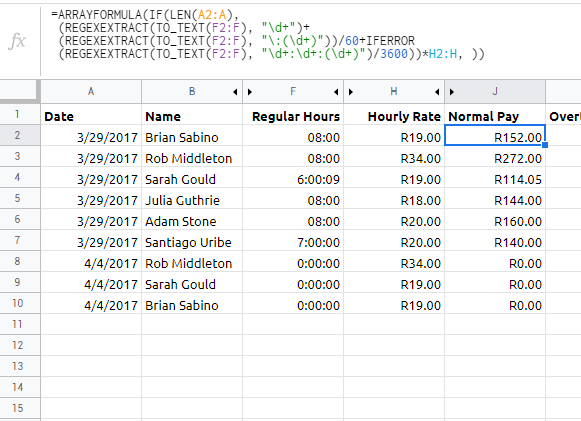 example - this formula =SUM(H2:H*1.5) to be applied every time a new input is made on the column? Not the answer you're looking for? 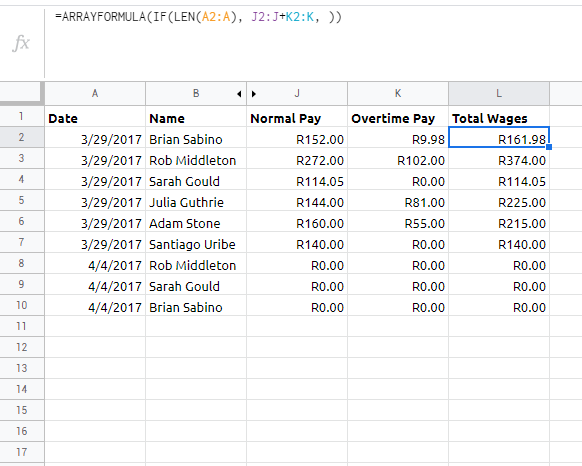 Browse other questions tagged google-sheets formulas google-sheets-arrayformula regexextract or ask your own question.